*NOTE* This review was originally published as part of the Lars von Trier retrospective at In Review Online. Of all the genres for Danish provocateur Lars von Trier to tackle, the musical seems one of the most unlikely. Long associated with pure escapism, musicals conjure images of toe-tapping Busby Berkeley numbers lifting the nation’s spirits during the Great Depression, or Julie Andrews singing on a mountaintop without a care in the world. In von Trier's hands, however, the musical becomes another vehicle for one of the director's scathing critiques of America, eschewing traditional formula and peeling back the genre's slick veneer to expose darker themes. His film centers on Czech immigrant Selma (Icelandic recording artist Bjork, in a transcendent performance), who's been obsessed with musicals since she was a child. Selma came to America in hopes of earning enough money to afford an operation that could save her son, who's slowly going blind due to a hereditary, degenerative disease that she herself suffers from. Her trips to the movies with a close friend (Catherine Deneuve) both offer an escape from the day-to-day drudgery of her factory work and, in their lavish productions and unwavering optimism, perpetuate a vision of America Selma once believed in. The musical numbers in these films resonate with Selma so much that she begins to imagine them superimposed on her own life, as relief and liberation from her impending blindness. The irony here is obvious: the musicals Selma so idolized as a child have given her a completely false impression of America; so now, in her mind, she creates imaginary musical scenes to ease the pain and hardship she faces living in the real America every day. It’s a sweeping denunciation of the myth of the American dream—the idealized America put forth by escapist Hollywood fare—and many of von Trier’s critics have taken issue with his condemnations of this country, since he's never been here himself. Likewise, they've scorned him for his misogyny (an accusation that's been reignited with the unleashing of his new film, “Antichrist”), and chattered about his fights on set with Bjork. But the stunning results of the film are hard to deny. 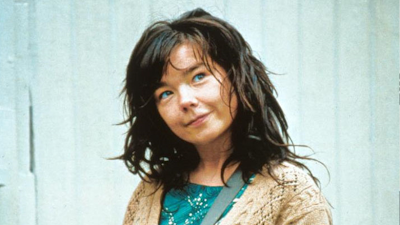 Bjork is fantastic, turning in one of the decade’s most raw, powerful performances, and it is to the Academy’s eternal shame that she wasn't even nominated. (Then again, von Trier has never had an easy relationship with AMPAS; his sole nomination is for co-writing with Bjork "Dancer in the Dark's" most memorable song, “I’ve Seen it All.”) And though the film makes no bones about its didacticism, it's also undeniably an accomplished technical achievement—the work of a master at the height of his powers. 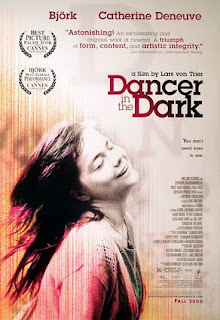 The 2000s would yield two great masterpieces by the Dane, “Dancer in the Dark” being the first. His greatest achievement would come three years later in the form of “Dogville,” followed by two minor works ("Manderlay" and "The Boss of it All") and one near-great rally at the end of the decade, with this year's "Antichrist." The iconoclastic auteur has sharply divided critics and audiences with each new film, but when it comes to "Dancer in the Dark," his status as one of today's greatest and most exciting filmmakers is tough to argue. LAST WORD: “Dancer in the Dark,” von Trier’s first of two masterpieces in the 2000s, is one of the greatest films of the decade: a dark, powerful take on the folly of the American dream, and an ironic twist on the musical genre. Yes it most certainly is one of the best films of the decade without any question as far as I'm concerned, and I applaud both your sentiments and the exceedingly superb quality of this review. Like you I also love ANTICHRIST, but it won't be my #1, even though it's strongly in the Top 10. Films like BRIGHT STAR, A SERIOUS MAN, 35 SHOTS OF RUM, A SIMPLE MAN, UP and REMBRANDT'S J'ACCUSE are complicating things a bit. And then there's THE WHITE RIBBON, which I will view on that French DVD tomorrow.